Our team of award winning Rotorua Architects help realise the potential of our clients dreams. With a love of architectural excellence, our Rotorua architects and project managers help shape the world for current and future generations. 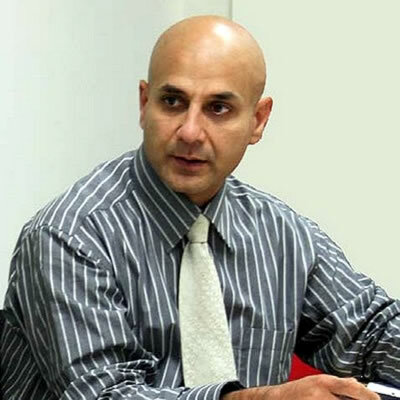 Apa Architects is headed by Aladina Harunani, with over 20+ years of International architectural experience. Aladina’s portfolio includes an impressive number of Residential & Commercial Architectural projects. Our mission at Apa Architects & Project Managers is about working with people and environments for a better world. Apa architects has developed an affinity with Marae Architecture and the spiritual needs of Maori. This has seen Apa Architects develop and project manage a number of designs all over New Zealand, including the award winning Tanatana Marae. Apa architects uses a holistic philosophy to blend physical and spiritual spaces. Apa in Maori means fold, layer or spiritual being. We partner with clients as a fold, reflecting positive outcomes. We partner with builders and other consultants as a layer, reflecting help towards each other. We partner with the end users as spiritual beings, to create better spaces and living environments. Call Apa Architects to start your journey toward helping us, help you create your own amazing space. The world is changing. Even fifty years ago, a city’s skyline would look very different to the skylines of today. Interspersed between the ever changing horizon are some truely unique and timelessly beautiful buildings. It is within these buildings that we see the true definition of architecture. These buildings, born from a concept then driven to reality by architectural passion have stood the test of time. It was playwright and social commentator, George Bernard Shaw who elegantly wrote “Imagination is the beginning of creation. You imagine what you desire, you will what you imagine and at last you create what you will.“. This is a vision that our team of Rotorua Architects hold very close to our hearts. 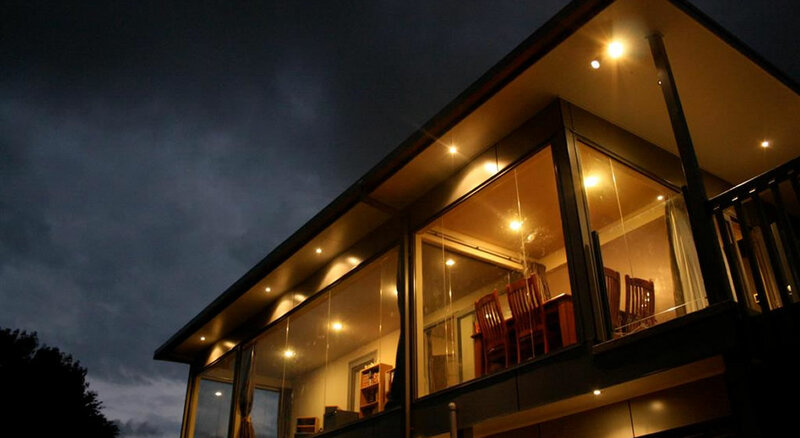 Our team of Rotorua architects strive for the creation of truly timeless buildings. We draw on our passion for architecture to deliver projects which touch and enhance the lives of all people who enjoy our spaces. Photo: Empire Apartments. An Works Infrastructure Project. Aladina Harunani, On-Site Design Manager. Good architectural spaces go hand in hand with good interior design. Our team of Rotorua Architects, offer comprehensive interior design and planning services to compliment your architectural build. We believe that great living and work environments are human-centric. A human being’s environment has a great effect on their emotional wellbeing: lighting, noise, touch, open space, the need for privacy and the need for human interaction. These are all factors that we consider when considering the ideal interior design for our clients. Call now to arrange a consultation with our team of Rotorua Architects and Interior Designers. We look forward to realising your vision. A marae is a perfect example of how the spiritual world comes together to blend with a physical space. A marae is much more than just a building. It is tūrangawaewae; a place to stand and belong. With spirituality being such a strong influence in Aladina & Shiffas’ culture, apa Architects quickly developed an affinity with the special place that marae architecture holds with Maori. 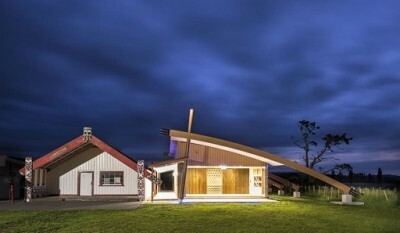 Aladina and the team at apa Architects have rapidly gained a reputation for outstanding marae architecture. Our excellence in marae architecture was recognised in October 2016 when we were named national Supreme Winners in the Architectural Designers of New Zealand 2016 awards. This was for our design and development of the Tanatana Marae. The apa Architects team regularly attend and present their marae architecture projects at the annual Marae Expo. Their work has also been featured on Te Karere TVNZ. Effective project management of a design and build is crucial to ensure the creation of a beautiful space. Our team of Rotorua Architects will project manage your exciting new development. Our team will manage the contractors, develop a timeline for all of your materials, anticipate and avoid possible problems or hold ups and manage key, critical milestones. We will effectively project manage your build, to ensure that all of the pieces fall together in the right order. Scaffolders, tradespeople, materials, building inspectors and designers all working together to ensure your new space is ready on-time and finished to an excellent standard. This is a quote that frequently accompanies good environmental strategy. It has been cited as originating from many cultures and many authors in numerous forms. Whatever the origins of the phrase, we believe that this is an important philosophy to follow. It’s a founding principle of our Rotorua Architects design philosophy.